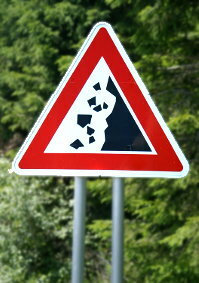 You can find almost the same sign in Italy. The only difference is the white space: the Italian drawing takes all the space in the frame. 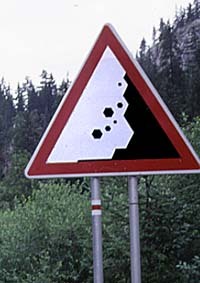 The occurrence of this Italian design is sur­prising, because Slovakia gets all its other roadsigns from the Czech Republic (or at least from the same supplier).